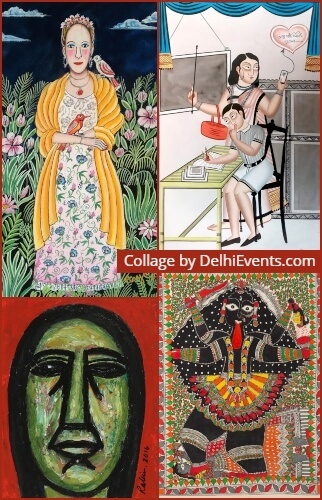 Event Description : ART EXHIBITION : CIMA Arts Mela. CIMA Arts Mela is coming for the second time to New Delhi in April this year with works of over 85 artists including Arpita Singh, Rabin Mondal, Manu Parekh, Jogen Chowdhury, Paresh Maity and several others. This edition has a selection of artworks that include some of the finest watercolours, graphics, paintings, digital prints and traditional art one could possibly find under one roof. The prices range between INR 5,000 to INR 75,000, making the fair a rare bargain for all art lovers, making it a haven you must-visit in New Delhi.